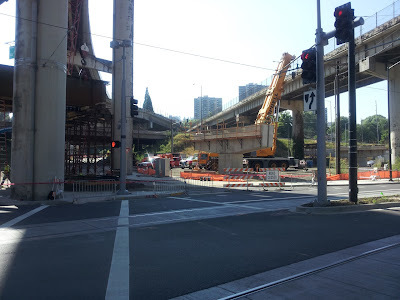 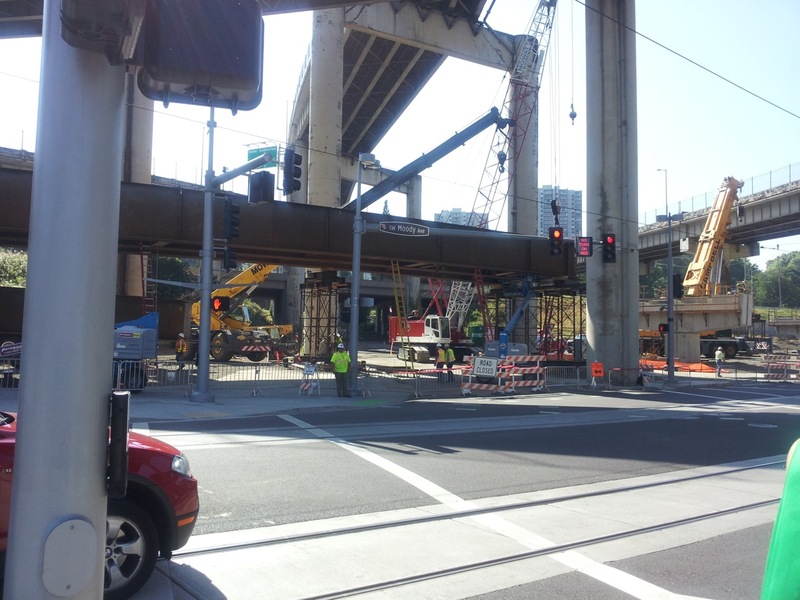 Light rail construction powers on, along Moody Ave. Steel girders were delivered this week. 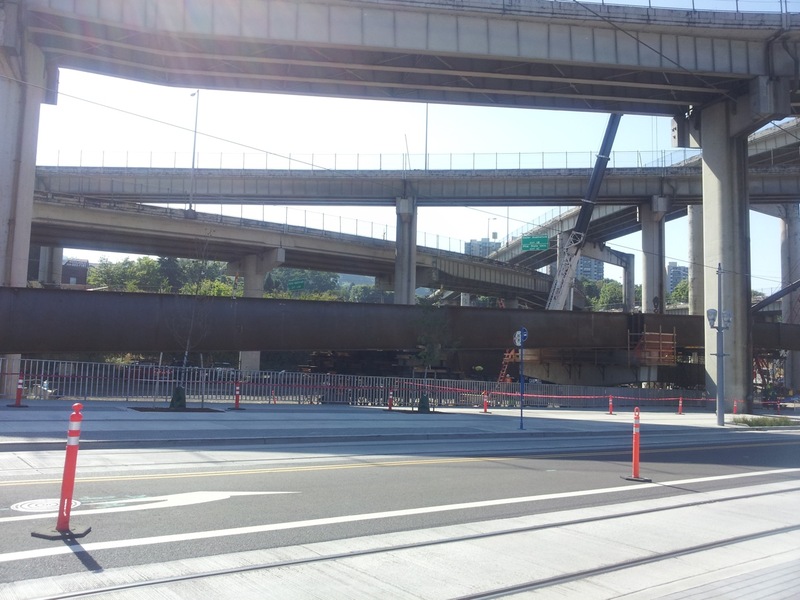 KPTV Fox 12 Oregon was there to document the girder delivery yesterday. They posted a cool slideshow of aerial shots on their site.